Life-long music fan and mother of four children. 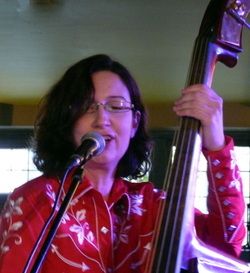 I play doublebass, guitar, sing, tell stories and dance around a bit too! Acomplished musician and mother of a teenage daughter. 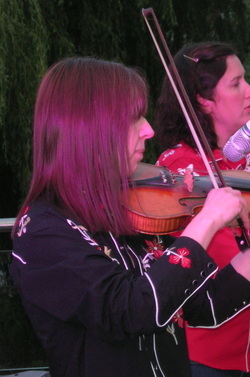 Cathy plays, fiddle, mandolin and guitar and has a real talent for harmony singing. Neil Young, The Beatles, Johnny Cash, Planxty, Dave Swarbrick, her School Choir and The Wombles.